Would it be possible to get a more specific error message than “There are some mapping errors on this path”? The tricky problem with this error is getting enough information to troubleshoot it. Here’s a nice trick for you: Run the package. In this specific case I get back an error message indicating there is a problem with the VehicleTypeId column. This is a column which had previously existed in my source query and had been mapped to a column in my output flat file but the column had now been deleted from the source query. 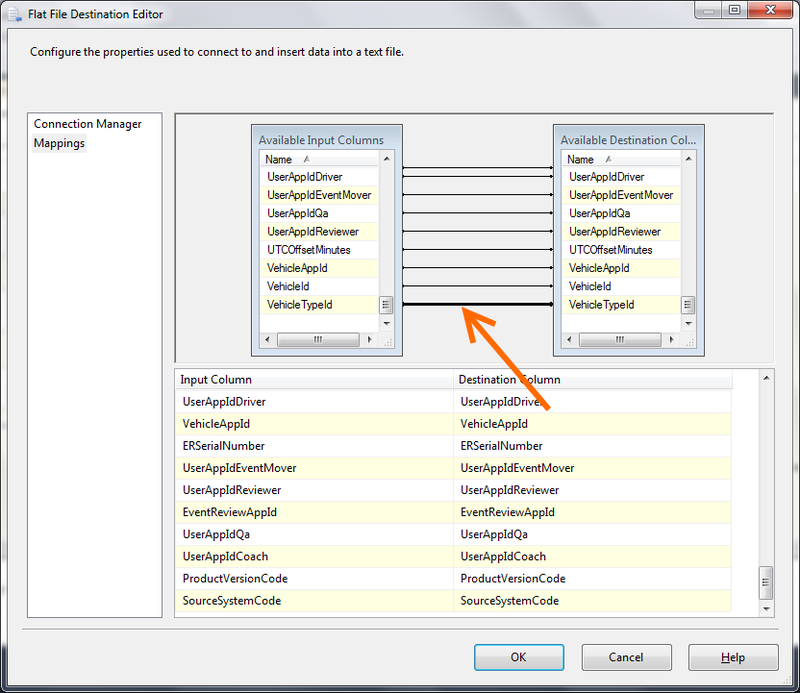 Option 1: Add the column back to the source query. Option 2: Remove the mapping from the destination. To remove the mapping open up your destination task and select “Mappings”. Right click on the line which connects the input and destination columns and select delete. 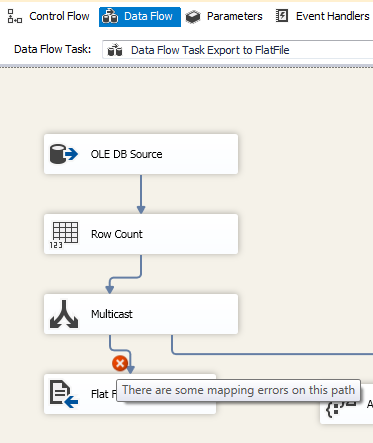 Now execute your package and witness your SSIS brilliance!